My research investigates long-term ecological and environmental time series data over broad spatial scales to discover the major past and predicted future influences of natural variability, human impact, and climate change on coral reef resilience. 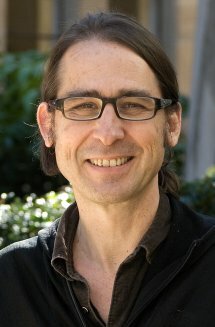 This research program enables direct linkage among physical variables and biological responses, attempts to parse out the effects of human versus natural variability, provide natural baselines with which managers can use to place restoration goals in context, unveils processes that contribute to the resilience of coral reefs over long time frames and changing environmental conditions, and fosters a deep temporal perspective of the role of climate change in coral reef ecology. Reconstruction of historical and ancient Great Barrier Reef coral reef communities using palaeoecological and molecular tools. Species range shifts in response to past and present climate change. Historical ecology of the coral reefs globally, including the Great Barrier Reef. Pandolfi, J.M., Connolly, S., Marshall, D. and Cohen, A. (2011) Projecting coral reef futures under global warming and ocean acidification. Science 333: 418-422. Lybolt, M., Neil, D., Zhao, J-x., Feng, Y-x., Yu, K-F., and Pandolfi, J.M. (2011) The shift from natural to human-dominated seascapes: a history of instability in marginal coral reefs. Frontiers in Ecology and Environment 9: 154–160. Budd, A.F and Pandolfi, J.M. (2010) Evolutionary novelty is concentrated at the edge of coral species distributions. Science 328: 1558-1561. Tager, D., Webster, J.W., Potts, D. C., Renema, W., Braga, J. C. & Pandolfi, J.M. (2010) Community dynamics of Pleistocene coral reefs during alternative climatic regimes. Ecology 91, 191-200. Renema, W., David Bellwood, Juan Carlos Braga, Kate Bromfield, Robert Hall, Kenneth G. Johnson, Peter Lunt, Christopher P. Meyer, Laura McMonagle, Robert J. Morley, Aaron O’dea, Jonathan A. Todd, Frank P. Wesselingh, Moyra E.J. Wilson, and John M. Pandolfi. (2008) Hopping hotspots: Global shifts in marine biodiversity. Science 321:654-657. Greenstein, B.J., and Pandolfi, J.M. 2008. Escaping the heat: Range shifts of reef coral taxa in coastal Western Australia. Global Change Biology 14: 513-528.